We found a piece of Downwinder's legacy in a very unlikely place this month – on the desk of TCEQ Toxicologist Michael Honeycutt. Right before Christmas, the Washington DC-based Center for Public Integrity published a great examination of how the Texas Commission on Environmental Quality goes out of its way to make sure the poisons citizens are being exposed to in the real world hardly ever reach "levels of regulatory concern." It spotlights Benzene, although you could easily find half a dozen other examples of where the state is moving the toxicological goalposts. This regulatory slight of hand is being directed by Honeycutt, the "smog isn't bad for you" guy that tries to provide the technical fig leaf for the blatant political motives behind the TCEQ's downplaying of pollution harms. 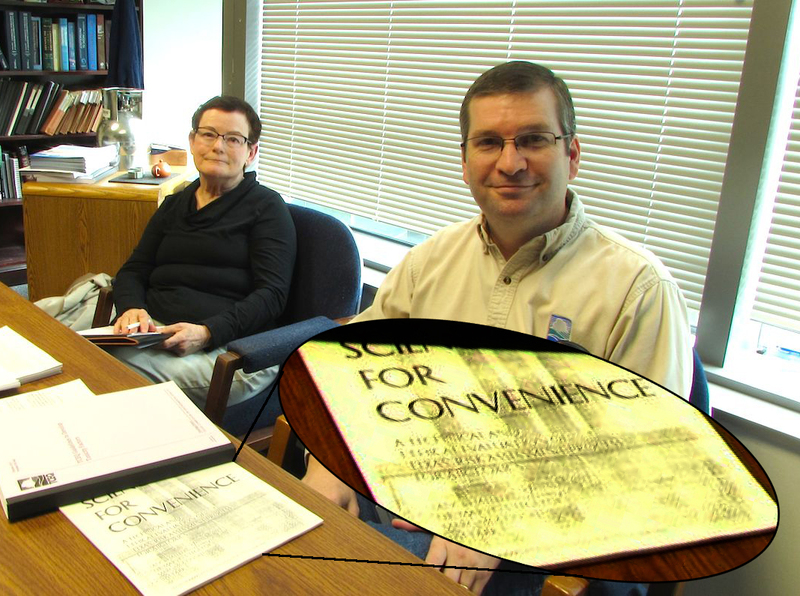 In the middle of the article is a photograph of Honeycutt at his desk with various reports splayed out in front of him. According to the reporter, she asked him to pull out some of the documents that have been influential in getting the TCEQ to re-examine the way it analyzes toxic exposures and human health harms. And what do you know, right there in front is Downwinders at Risk's own 1996 "Sacrificing Science for Convenience" report – the first-ever critical look at how the state of Texas was officially evaluating toxic exposures, authored by the late great Dr. Marvin Legator of the UT Medical Branch in Galveston and Jim Tarr, a former Texas Air Control Board engineer, who's become an independent consultant, and is in fact quoted in the Center's new article as well. This report, later turned into a peer-reviewed journal-published article, was a devastating methodical blow-by-blow examination of how the state's "Effects Screening Levels" (ESLs) for pollution were political tools for regulators to allow massive pollution without concern for any adverse human health effects. It led to an embarrassing Houston Chronicle series several years later that forced the state to revamp the ESL system. 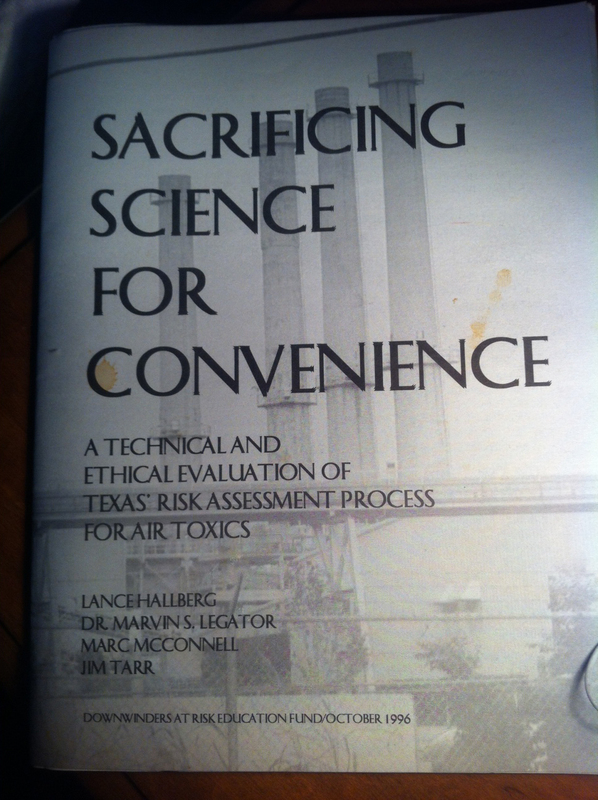 This was the first time anyone had led an scientific inquiry into how the State of Texas regulated toxic exposures. This effort wasn't commissioned by a national or even statewide environmental group, with lots of money and a staff of its own. It was scrapped together by a grassroots group of citizens in DFW. At the time, Downwinders' energy was aimed only at fighting the burning of toxic waste in the Midlothian cement plants. Such a report didn't directly serve that cause at all. That's why we're so proud of it. In the middle of the longest, most expensive hazardous waste permit fight in Texas history, we took the time and money to pay for a report that would expose a problem every citizen living near a polluter was facing. We looked at the fundamentals and saw a larger need than just our own self-interests in Midlothian. We took the longer view. We're the only environmental group dealing with fracking as a regional air pollution issue – taking it out of the city-by-city fights we're all accustomed to, and looking at the larger picture of how it adds to North Texas smog. We're still the only group looking for ways we can disrupt the authority of the state in setting our local environmental agenda. Over the next few weeks you’ll learn how Downwinders is sponsoring the very first effort to give local officials access to the same computer “modeling” the state uses to build its clean air plans. But this computing power is being used to do things the state is refusing to do – like looking at what pollution control measures work best in DFW. It’s the first time anyone has challenged the state’s exclusive ownership of the region’s air computer modeling. Next month, you’ll see local DFW doctors and nurses testifying on behalf of cleaner air at public hearings on the state’s proposed new smog plan. 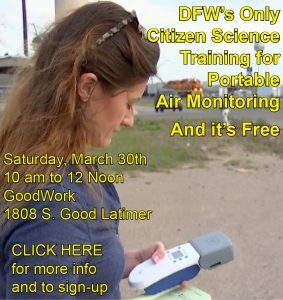 They’re being organized by Downwinders in an effort to form a North Texas health professionals speakers bureau to put on the front lines of air pollution controversies. Not just our fights – everyone's fights. Downwinders is doing work no other group is doing – work that benefits everyone who's being shat on by an industrial polluter – whether its a cement plant, a coal plant, or a gas compressor. Because, just like in 1996 when we published "Sacrificing Science for Convenience" we see our job as a larger than our own fights. We understand that we're part of a larger citizens movement. One about the distribution of political power, and the autonomy of an individual to decide for themselves what risks to their health are acceptable. 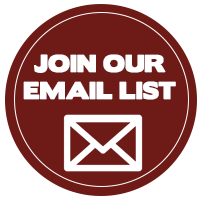 Next Monday, we'll be sending out an e-mail alert that will be jam-packed with January news about state and national clean air hearings, tributes to our local heroes, and on-going local fights. 2015 is going to be another busy year for us. But we need your help to fund our work today and the next three days. We do what we do on a shoestring budget – usually not more than $30-50,000 a year – but we need new shoestrings. We're completely local, which means we're completely dependent on people like yourself who see the value in our work. If we can't put our organizer in the field, a lot of good things that we want to do next year won't happen. And that'll be a shame not only for our own causes, but for the larger cause as well. Please click here and give whatever you can. Anything is truly appreciated – and will contribute to work that has a long shelf life. Thanks.